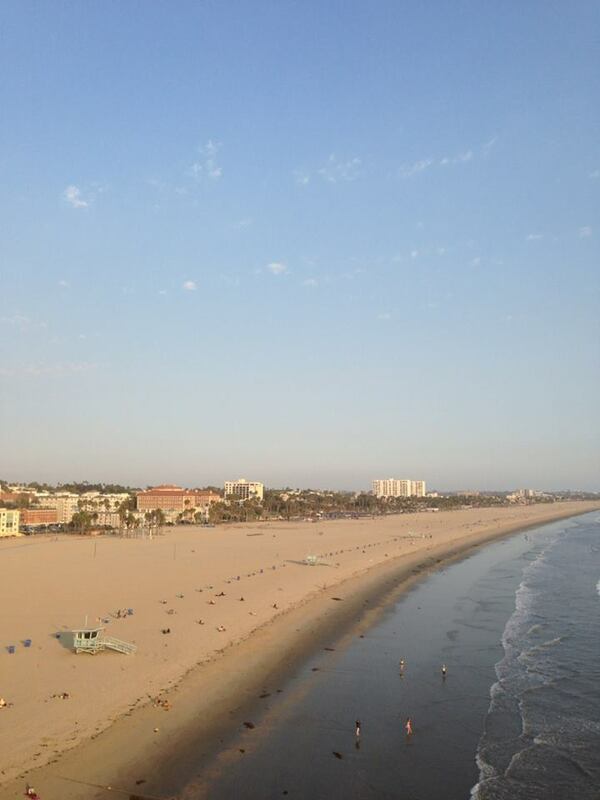 This picture was taken at Santa Monica Pier almost two years ago – September 2013 during my US Trip. I took the picture during a ferris wheel ride with my boyfriend. It was a sunny day and we’re enjoying the day around Los Angeles. Before the sun sets, we decided to go to Santa Monica Pier for a little sightseeing. While we were there, I saw the famous Santa Monica Pier ferris wheel and wanted to ride it, so we did. The scenery was beautiful, we were enjoying the moment, all good. Now here’s an interesting fact : My boyfriend is afraid of heights. But that did not stop him from riding the ferris wheel with me! It was indeed, one of those moments that made you feel loved <3. And for that reason I chose to share this picture in this week’s English Friday challenge. Ferris wheel nya Santa Monica pier kan gak tinggi tinggi amat… Tp bf lu masih takut ya. Hehe. Iyaa trus lagi cerah cuacanya.. Apa di LA cerah terus ya Man? So sweet Christa. He really loves you. As a fear of heights also, I know his feeling. And beautiful shot also. Hopefully I can go there someday. Lho perasaan udah? jadi masi perlu ngga nii? makasih yaaa! Gak usah. Abis komen ini trnyata nemu. Hahahaha.